J.W. Finney constructed his first meat market on this site circa 1900. In 1904, a fire devastated a large part of Issaquah’s downtown, including Finney’s building. The Issaquah Independent reported that “Incendiarism was suspected as having started in the Issaquah Coal Company store next door to the market.” This was Issaquah’ only major business district fire. The current structure was built in 1910, and Finney operated his store at this location until his death in 1936. 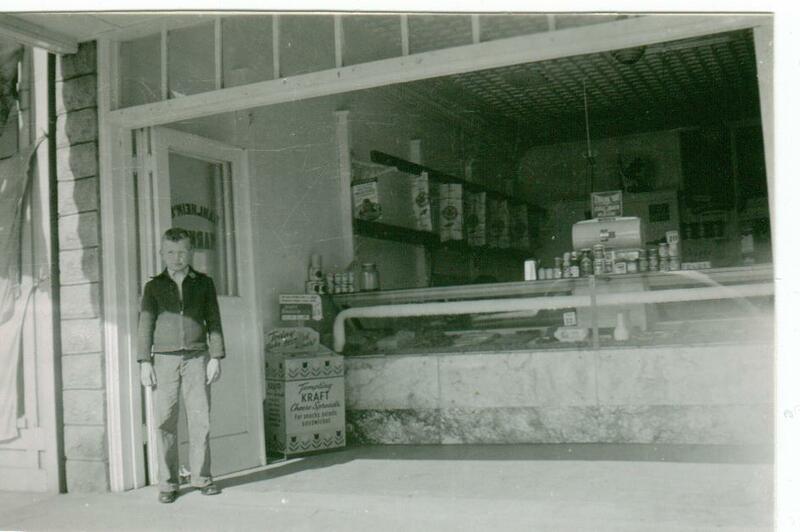 Early in his Issaquah career, John Finney employed a young man named John Fischer; it’s likely that Fischer worked with Finney in the old wooden building, because Fischer left to open John Fischer’s Cash Market in 1910. 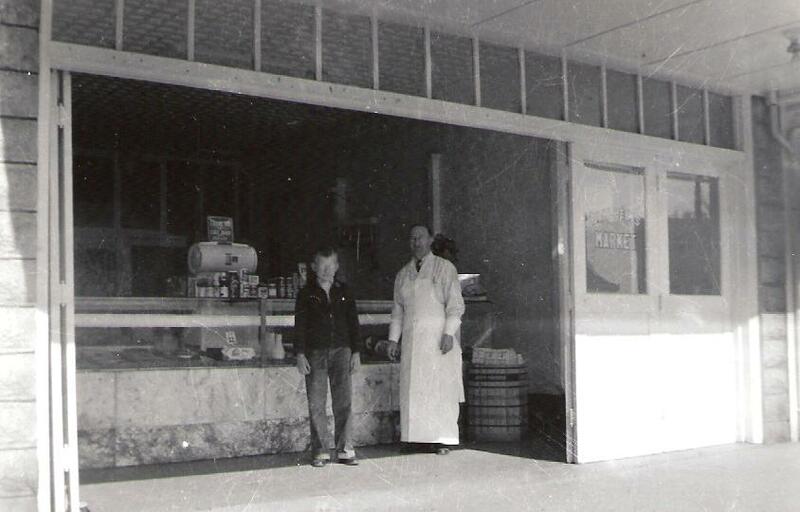 From left to right are Finney’s Meats staff Frank Brown, Lawrence Smart, John Fischer and Andrew Hunter. 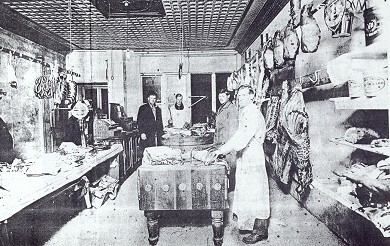 Finney died in 1936, and Gus Dahlheim established a meat market there and operated Dahlheim’s Meats until 1943. The photos at the bottom of the post were contributed by his stepson, Bill Janzing. After that it became an insurance office, used first by the Peters Agency. Today it is home to the Jones Agency Allstate office. 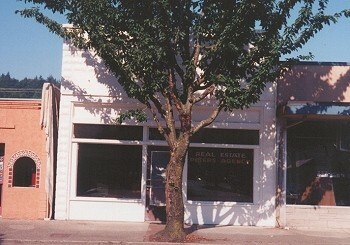 Original photographs of this small, single-story, commercial building in Issaquah’s downtown indicate that the building originally had a series of folding front doors. The folding doors were replaced by a glass storefront in the 1950s, and little has changed then then. This is a smaller scale infill building, meaning that it was built specifically to close a gap. The building has had a marquee at the street since at least the 1940’s. The building is characterized by its rusticated concrete block construction; the block is visible on the plain front parapet. The building is not grand; it is a vernacular commercial structure built to be utilitarian. It remains solidly intact in its current state and use.